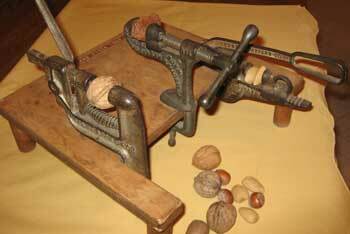 Nuts are such a part of our everyday existence they even turn up in a host of quotations by authors, playwrights, poets, philosophers, and clergy. ‘Charley’s Aunt’ (1892) A play by Bradon Thomas. That the spring days soon will reach us. BEWARE THE CASHEW ALLERGY —-AND THE SECRET MANGO CULPRIT! 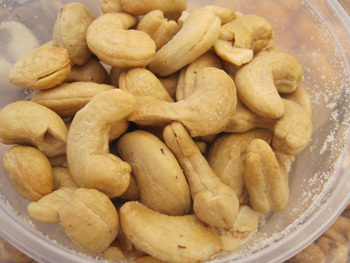 My husband has had a love affair with raw cashews for years and never had an allergic reaction to them. He’s also enjoyed mangoes and eats them with gusto whenever they’re in season. He’s nibbled on a couple of handfuls of cashews almost daily for years—that is, until now. Here’s an account of the surprising tale of the cashew allergy and the sneaky mango offender. We traveled from our home in Los Angeles to the Philippines to visit our son who has been living and working there. Every day we feasted on the delicious and bountiful tropical fruits like longan, lanzones, jackfruit, pineapples, and the sweetest mangoes, ever. 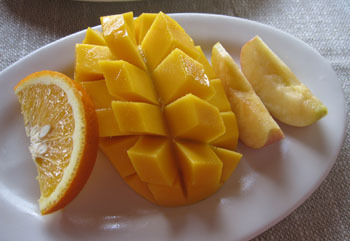 Almost daily, we were enjoying those succulent mangoes with gusto and had them mainly for breakfast and occasionally for lunch. They were difficult to resist with their ultra silky smooth flesh and practically hairless texture. It was easy to cut into them and munch the flesh right off the mango seed. One afternoon, my husband concluded his lunch with one of those irresistible mangoes, then, put on his socks and shoes for a fun outing that followed. Within an hour or two, he was scratching at his ankles that began to itch annoyingly. When he rolled his socks down to examine the cause of the itching, he saw a bright, red rashy area that practically encircled his ankles. 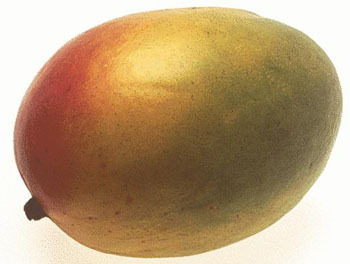 An internet search for mango allergy turned up a surprising bit of allergy information. Mangoes can, indeed, cause an itchy rash in sensitive people who handle the peel and eat the area directly under the skin. My husband remembered peeling the mango for lunch and made the connection that the mango residue on his hands came in direct contact with his ankles as he put on his socks. Fortunately, he was able to connect the mango to his itchy rash. For several months our son had been suffering from an itchy rash that covered the upper portion of his body and his arms, but he could never find the cause. As the rash and itching worsened, he began taking medication to gain relief, but found little success. In an effort to trace the source of the problem, he began experimenting with different laundry detergents, lotions, and body-care items. He also began eliminating common foods known to be allergens, but nothing helped, until my husband’s dramatic mango reaction. While we were together, our son also experienced a swelling and numb sensation in his lips and the area around his mouth. That symptom lasted for several days before subsiding. That, too, was mentioned in the research on mango allergy. The research was an aha moment for both my husband and our son who both swore off mangoes. The rash on my husband’s ankles lasted for three weeks before subsiding. About a week after we returned from our Philippine visit, my husband resumed his handful of cashews and within an hour he began scratching his back. Sure enough, his back was broken out in a bright red rash that looked like slightly raised, individual red pimples–tons of them. Then came another aha moment. 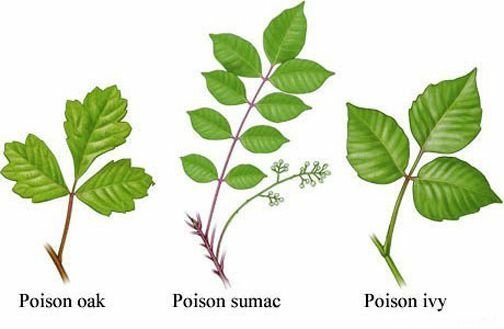 That mango research mentioned the cashew family that includes cashews, pistachios, poison oak, poison ivy, and poison sumac. Now, both mangoes and cashews are off the menu for my husband and our son. When we mentioned our mango experience to our other son, he told us he also experienced the numbness around his mouth and lips when eating mango. It appears there’s a heredity factor, so beware the cashew allergy and the hidden mango culprit. Hopefully, my family’s rashy account may help solve a rashy mystery for others. Today, a very special friend emailed me this wildly expressive Obamicon-style poster of my portrait. He happens to know about my passion for spreading the word of the health benefits of nuts. So, with his creative ability to turn a phrase, he superimposed the “perfect mantra” onto my photo. I love it! It’s perfect for a nut like me. Just two words, yet they speak my message with such clarity.